The yearly appointment took place in the area of Mantova this time. Being relatively close to Trento, the city where I lived and I use as a base, I was able to reach Mantova in the early morning to have a look on some beautiful places there. This year we were guest of the GAP club located on Borgo Virgilio, a small village connected to Mantova. For AdaChess, this is the fifth attendance at the G-SeI live tournament, formerly IGT. As always, I wish to thanks all the participants and organizer for the effort that everyone spent on it. Plus, special thanks to Valerio Luciani to kindly accept the match man-machine against AdaChess and to Giovanni Di Maria for the handmade gadgets that kindly gave us. 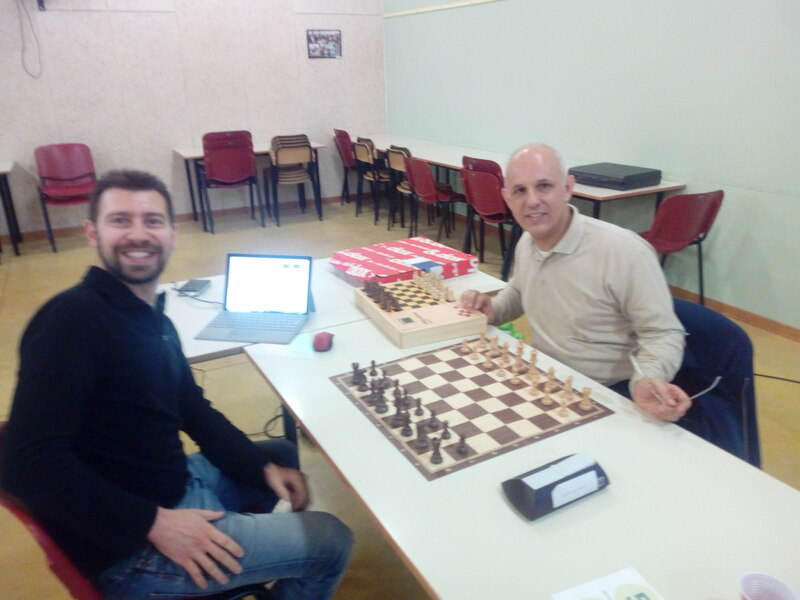 The winner of this tournament was Johannes Zwanzger, to whom I congratulate and wish the best for even further improvment of his already strong engine Jonny. Other participants were Richard Phil with his strong engine The Baron and the italians – all with a new release – were: Andrea Farina (Chiron), Fabio Gobbato (Pedone), Stefano Gemma (Drago), Luca Naddei (PICcolino) and Giovanni Di Maria (Acqua). 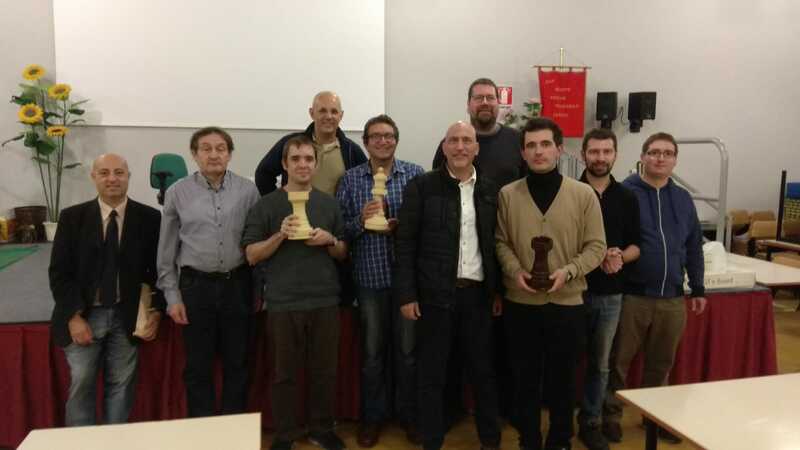 From left to right: Valerio Luciani, Stefano Gemma (Drago), Johannes Schwarz (Jonny, with the rook in his hands), Luca Naddei (Piccolino), Giovanni Di Maria (Acqua, with the queen in his hands), Luca Lissandrello (Neurone), Richard Phijl (The Baron), Andrea Farina (Chiron, with black rook in his hands), Alessandro Iavicoli (AdaChess), Fabio Gobbato (Pedone). I must admit that for AdaChess this tournament was a great boost. Both for the ranking and the match men-vs-machine, his popularity – my popularity – increased. Receiving good feedback makes happy and motivate in doing better. The development process of AdaChess has never been very easy. However, step by step, the engine is growing. This is the first time for me to reach an high score and to win something. It is absolutely true that I could arrive third because at least two other common participants, definitely stronger than me, were absent. However the meaning is that, if you hang in there, soon or later the satisfaction will come. ← AdaChess – The third release!